Edgar Thorn Mead, of North Street, an old and respected citizen of Greenwich and one of the generation of Meads who played an important role in the history of Greenwich, died at his home early yesterday morning, in the house were he and several of his progenitors were born. A vestryman of Christ Church here for many years, and president of the North Street Association, Mr. Mead had always been active in town affairs. He was ill for three months before his death. The funeral service is to be held at 3 o'clock this afternoon at Christ Church, burial be made in Christ Church Cemetery. Mr. Mead's ancestors came to this country from England in 1742. In a little old farmhouse built between 1725 and 1730 that stood back of Mr. Mead's late home was born Caleb Mead. 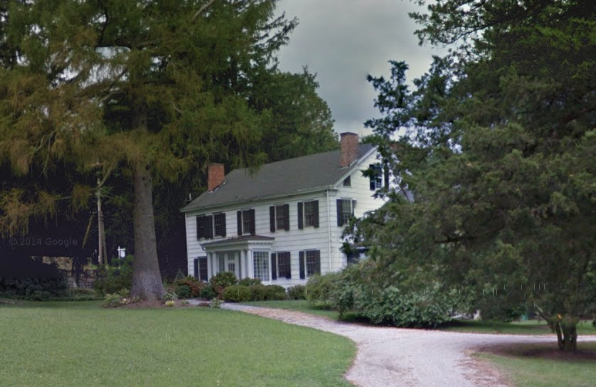 Caleb's son, born in the old farmhouse, was Lieut. Caleb Mead, who fought in the Colonial or French and Indian War, and the Revolutionary War. The Mead family today has the original commission which Lieut. Caleb received from King George II of England. Jonah, son of Lieut. Caleb, was born in the old farmhouse, and his son, Col. Drake Mead, was born in the late home of Edgar T. Mead, which was constructed in 1796. The old farmhouse, torn down in 1875, had housed the Mead family since it was first occupied by them in 1742. Col. Drake Mead headed a regiment of the state militia, and his commission, received from Governor Oliver Wolcott of Connecticut, is still preserved by the family. Col. Mead's regiment was well known in this locality after the War of 1812. Col. Drake Mead was the father of Cornelius Mead, born in the same house, who was a farmer and sat in the Connecticut Legislature for about 14 years. Cornelius was the father of Edgar T. Mead, also a son, Walter C. Mead, of Denver Colo., and a daughter, Mrs. William R. Talbot, of 123 Maple Avenue, who survive their brother. Born in the old Mead homestead February 4, 1868, Mr. Edgar Mead received his schooling in Greenwich and lived here all his life. His brother Walter has been a resident of Denver for the past 50 years, making several trips east to his birthplace Greenwich, each year. During a trip west 28 years ago, Mr. Edgar Mead met Gertrude Hayward, while visiting his brother, and married her. They leave a young son, Edgar T. Mead, Jr. Hearing of his brothers illness Mr. Walter Mead came west and was with his brother a week before he died. Honorary pall bearers at the funeral will be wardens and vestrymen of Christ Church and the following: Joseph F. Abbott, John P. Adams, Roger S. Baldwin, Max B. Berking, H. Ernest Buermeyer, T. B. Conklin, Julian W. Curtiss, Edward C. Dean, William F Decker.